Serious overcrowding in the nation's prisons is prompting the Justice Department to look into easing sentences on some drug-related offenses. 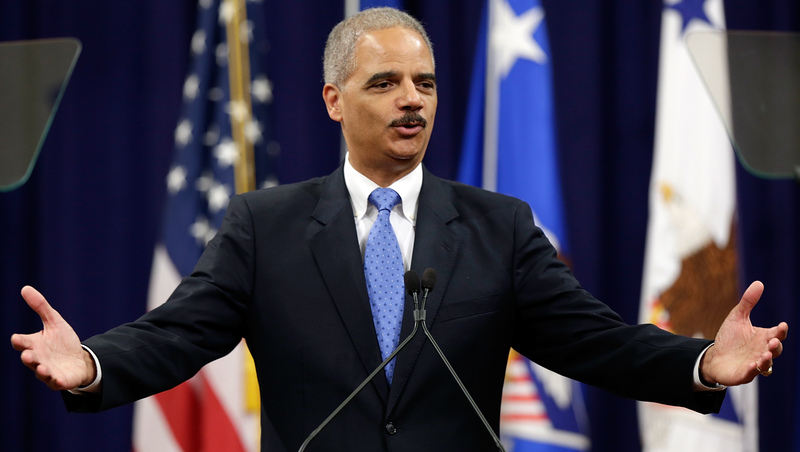 On Monday, Attorney General Eric Holder revealed plans to reform the U.S.' criminal justice system during a speech to the American Bar Association in San Francisco. "We need to ensure that incarceration is used to punish, deter and rehabilitate — not merely to convict, warehouse and forget," Holder said. That means funneling some of those convicted of low-level drug offenses to drug treatment and rehab programs and considering early releases for elderly prisoners convicted of non-violent crimes. There are currently about 219,000 inmates in federal prisons (that's 40 percent more than capacity). Nearly half of those inmates have been imprisoned due to drug-related crimes. One of the biggest changes to be proposed addresses mandatory minimum sentences, which were instated in 1980's when the government began its war on drugs. Since that time the rate of incarceration has grown by about 800 percent. Under the new proposal, those who have committed low level, non-violent drug crimes and have no association with a larger gang or cartel won't be charged with crimes that carry mandatory minimum sentences. Additionally, to circumvent mandatory minimum sentences, prosecutors would refrain from listing drug quantities in the case of low level offenders. Mandatory minimum sentences have long been criticized for indiscriminately imposing harsh and potentially unfair sentences on those who aren't even part of the larger drug operations. Under his new "Smart on Crime" plan, Holder also suggests allowing state and local channels to deal with drug offenses occurring within their jurisdiction more often. Holder justifies the plan as changes that will help build stronger communities and decrease the economic burden of incarceration on tax payers.